GENT, Belgium (VN) — Much has been made about Team Sky’s failure to win a northern monument. The team dominates stage racing, yet it’s fallen short of coming home with a major victory at the Tour of Flanders or Paris-Roubaix. And with the arrival of new sponsor Ineos, which is set to roll out in May at the Tour of Yorkshire, this will be Sky’s last rumble over the stones of Roubaix in its trademark black and blue colors. 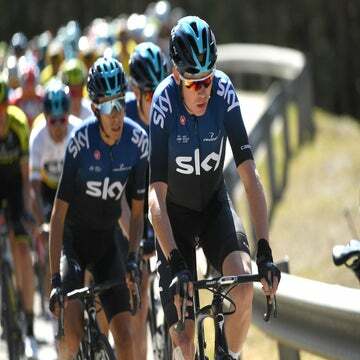 Over the past 10 years, Team Sky has emerged as the most dominant force in grand tours, winning six of seven editions of the Tour de France with three different riders. It’s also won a Vuelta a España and Giro d’Italia to confirm its grand tour acumen. That success has not translated well onto the cobblestones at Flanders and Roubaix. Despite a few podiums, Sky is still chasing its first cobblestoned monument victory. Could that change Sunday as the team races Roubaix for the last time in the Team Sky jersey? The team has come close. Though it’s never hit the Flanders podium, Flecha rode to third in Roubaix in the team’s debut in 2010, and Stannard nailed third in 2016. Last year, Geraint Thomas even raced Paris-Roubaix for the fifth time in his career; he crashed out. This year, the team lines up as outsiders, but with realistic chances to deliver. Joining Stannard as co-leaders Sunday will be Gianni Moscon, Dylan Van Baarle, and Luke Rowe. All four have shown hints of good form this spring and could ride deep into the final Sunday. Certainly, it hasn’t been entirely gloomy at Team Sky over the past decade on the cobblestones and bergs of Belgium and northern France. Since its debut in 2010, the team has a decent track record. 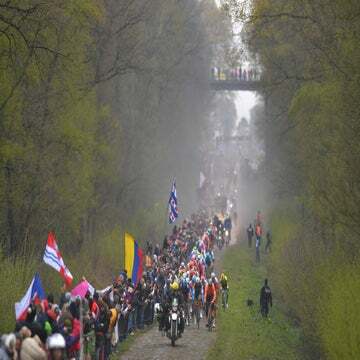 It’s won its fair share of important one-day classics, including Omloop Het Nieuwsblad, E3 BinckBank Classic, and Kuurne-Brussels-Kuurne. It amounts to a respectable haul by any measure. The team has also brought home two monuments, Milano-Sanremo in 2017 with Michal Kwiatkowski and Liège-Bastogne-Liège with Wout Poels. However, it’s the monuments of Flanders and Roubaix that really count for the northern classics specialists, and the team is quietly hoping it can pull off a big win Sunday in the velodrome. Team Sky sport director Servais Knaven said a relatively open Roubaix without a clear favorite could help tilt the odds in the team’s favor. 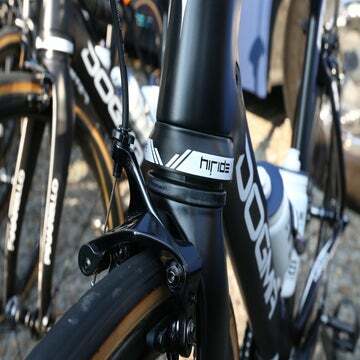 “The guys are in good shape and they are ready for Roubaix,” Knaven said. “We have the strength and we have the numbers, it will be more of an advantage for us in Roubaix. The veteran riders on the team know the challenge of coming away with a win at such at unpredictable race. They’re hoping this year the stars finally align.